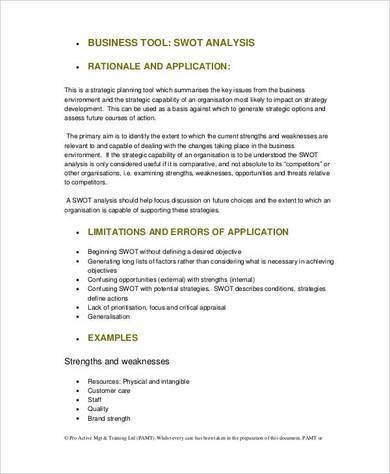 A SWOT analysis is a tool that is used to assess or examine the internal and external factors that affects a business and analyze it to find ways on how to do things better, have an advantage of over other business and become more profitable. This is a tool used regardless of the type of business or what industry it belongs to. SWOT is an acronym that stands for strengths, weakness, opportunities and threats. Each of these components make up a SWOT analysis. Data or information is gathered based on these four main components which is then analyzed according to the goals and objectives of the business. 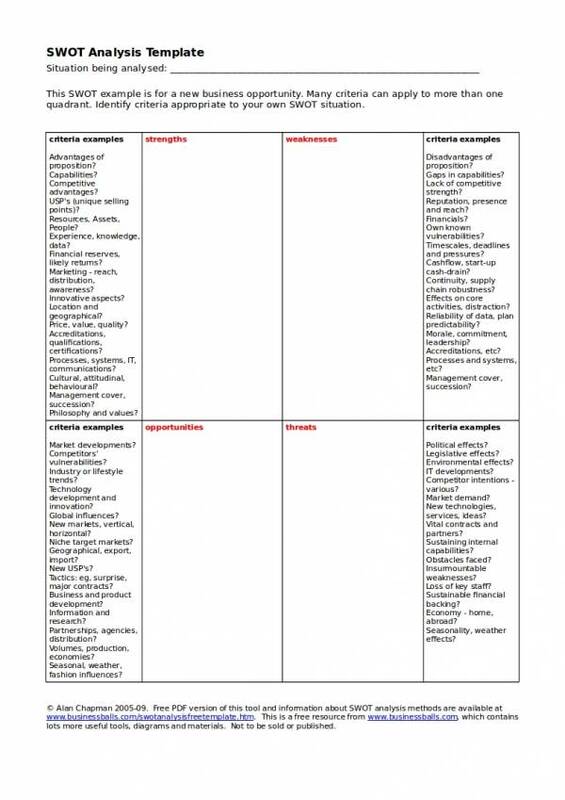 Using the business SWOT analysis samples and templates that you can find here will best help you understand more about it. Why Is A SWOT Analysis Important in a Business? Whether you are still starting with your business or already running and managing one, a SWOT analysis will surely be of help to you. This technique of identifying and realizing your strengths, weakness, opportunities and threats greatly help you in planning for a good start or managing your business better. Here are some of the reasons why it is important to your business. Finding out the strengths of your business and will help you see the opportunities that are ahead of you. If you know what you are capable of, then you will know which opportunities to take that will lead you to your success. 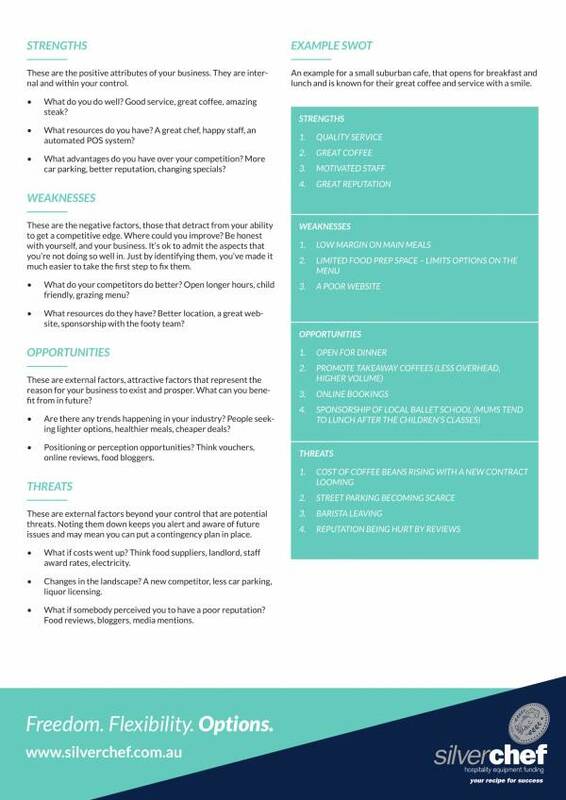 You can also understand your weaknesses through a SWOT analysis and by doing this you will be able to eliminate all possible threats that may harm or bring your business down. A competitor SWOT analysis can be done to assess or examine your competitors in any field. Doing this will help you create a strategy to distinguish yourself in the business industry and become successful. With the use of a SWOT analysis, you will be able to use the resources available to you in efficiently. Because there are some resources that will eventually become limited, the need to determine and plan when this is going to happen is a must. A SWOT analysis is good tool to use to be able to allocate the right things and the right resources. Improving business operations is one of the goals of a business and that can also be done easily with a SWOT analysis. Previous SWOT analysis records are compared to future records to determine what things the business has improved on. Having improvements mean that the previous plan was effective and the opposite means that the previous plan must be changed. Because a one of the components of a SWOT analysis involves opportunity, using the tool will help you uncover the opportunities that has opened its doors to you so that you can take advantage of them before anyone does. A SWOT analysis allows you to prevent any threats from happening as well as being able to control them before anything worse takes place. 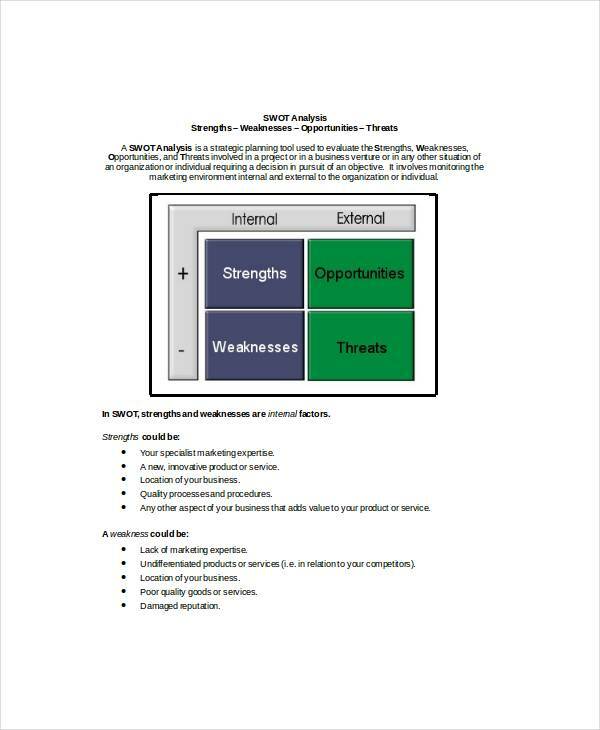 Converting your strengths into opportunities and weaknesses into strengths is another reason why you should use a SWOT analysis. With all those reasons, would you still not consider using a SWOT analysis for your business? 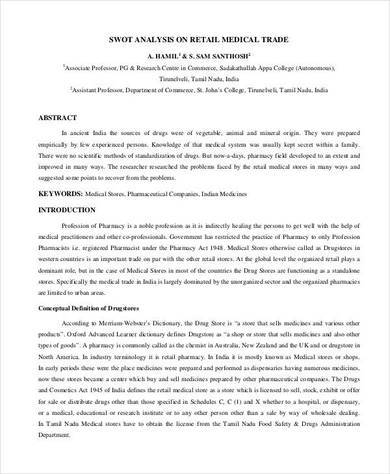 If you wish to learn more about it, you can always check out articles, like Restaurant SWOT Analysis Samples & Templates, Hospital SWOT Analysis Samples & Templates, and Health Care SWOT Analysis Samples and Templates. 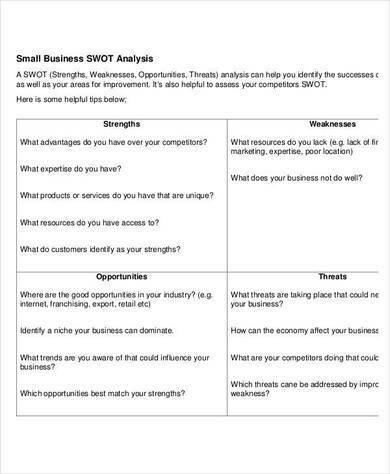 Regardless if you have small business or a big one, you will still need a SWOT analysis to record the external and internal factors that linger around your business. it can also help determine which factors are useful and which factors are not. To help you with your SWOT analysis, here are some simple and easy-to-follow steps that you will find helpful. Decide on the goals and objectives for conducting a SWOT analysis. There should be a focus as to why you are conducting a SWOT analysis to give direction to what you are doing. Ask questions to help you decide on things, like if you should improve the services you provide to your customers, introduce a new product, or carry a different brand. Conduct a research about the industry where your business belongs. If you know what you are up to then you will definitely find possible and feasible ways to do it. It will also help you gather just the right information for your SWOT analysis so that you can produce a reliable and useful output. 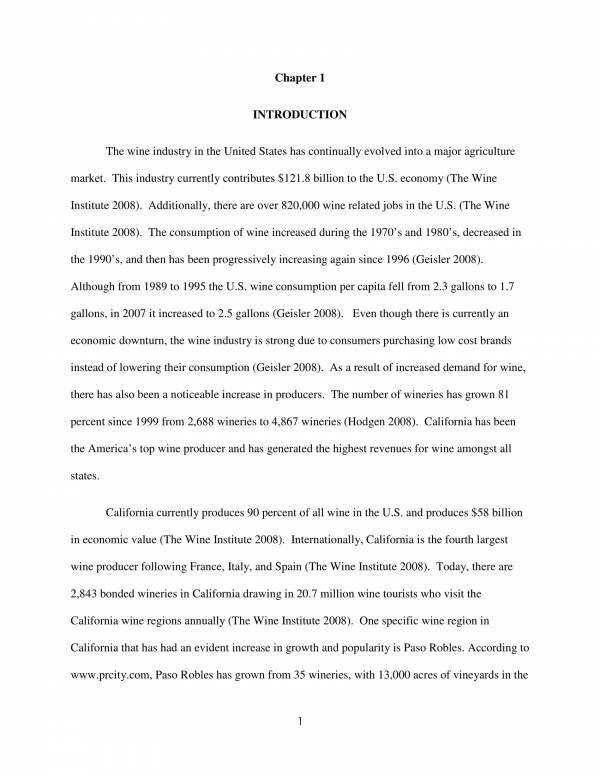 Prepare guide questions to be answered and or a template where the data gathered will be recorded. Now, let us move on to the four components of the SWOT analysis. Make list a of the strengths, weakness, opportunities and threats of your business starting with strengths. Follow the SWOT order when doing this. You may do this on your own or assign one or more of your employees to do this. List as many strengths, weakness, opportunities and threats as you can find. This is the part where your aim is gathering information. After gathering everything that you think are necessary, what you should do next is filter out which ones are related and which ones are not. Prioritize the things that you have filtered on your list. The most related and most important ones should be on top and the not so important ones should be at the bottom. This is where you start analyzing about the things that matter to your business. How can you use strengths in taking advantage of the opportunities that you have identified? How can you minimize your weaknesses to overcome the threats that has been identified? How to convert weakness into strengths? How to overcome weaknesses to be able to take advantage of opportunities. There are many ways on how you can do a SWOT analysis. It all depends on your preference and on how comfortable you are with following them. The same things is true with other SWOT analysis that are used for other things, like Marketing SWOT Analysis Samples & Templates, Detailed SWOT Analysis Samples & Templates, and Professional SWOT Analysis Templates. What Are the Benefits and Limitations of a SWOT Analysis? Before you start using a SWOT analysis, it is very important that you first know what its benefits and limitation are. it will help you decide if it is the best tool to use. 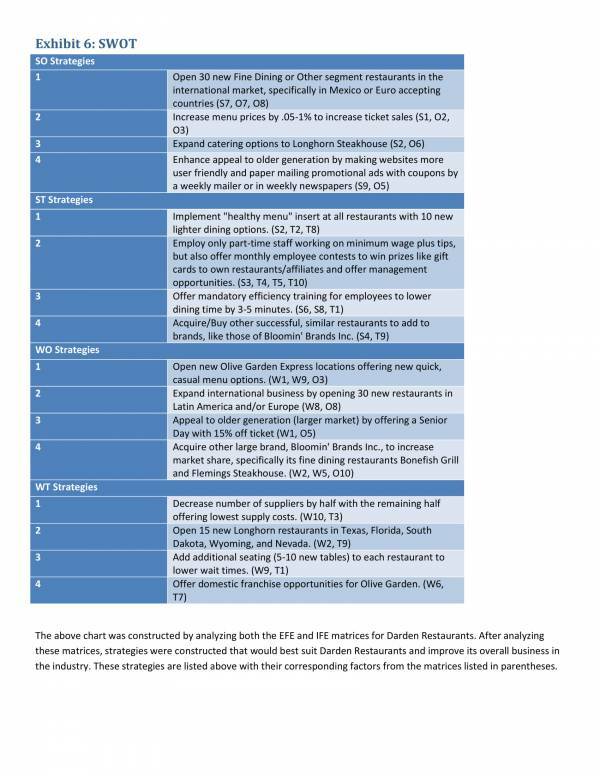 The following are some f the benefits and limitations of a SWOT analysis. It helps you identify the strengths, weaknesses, opportunities and threats that will affect your business. This is the most common benefit that you can take advantage of in a SWOT analysis. One of the good things about a SWOT analysis is that you don’t have to hire anyone or pay anyone to conduct the analysis for you. An employee who is knowledgeable about the business is the best person to do the job. This will either cost you a little or will not cost you anything at all. It is very useful when you only need to address simple situations and not those complex one. This allows you to save time. It eliminates the need for a consultant or business adviser. 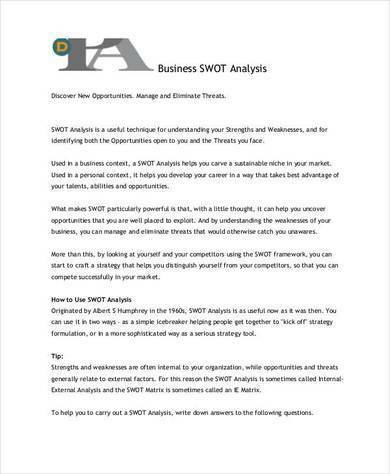 A SWOT analysis allows you to concentrate on factors that are important to your business, like how to understand and take advantage of the strengths of your business, how to address your weaknesses, deter any identified threats, how you can capitalize on the opportunities that are ahead of you, and how you can develop the strategies to achieve your goals and objectives. A SWOT analysis helps you identify your strengths, weakness, opportunities and threats, but it does not provide you with answers or solutions to any identified issues. It can only be used for simple issues, but not for complex issues. A lot of information can be gathered but it is really not an assurance that everything will be useful. It cannot help you choose which idea is the best or which decision is the best to make, even if it is used as a basis for decision making. It is only used to get ideas to support your decision but it doesn’t really point out which one is the best. These benefits and limitations goes to other uses of a SWOT analysis and just just for business. 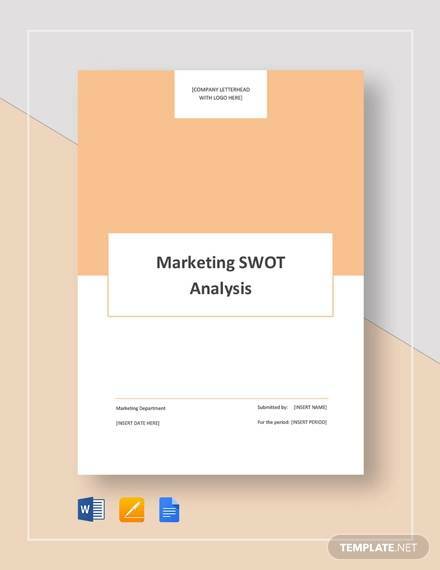 If you find this article useful and wish to learn more about SWOT analysis, then you may be interested in other related articles that we offer. 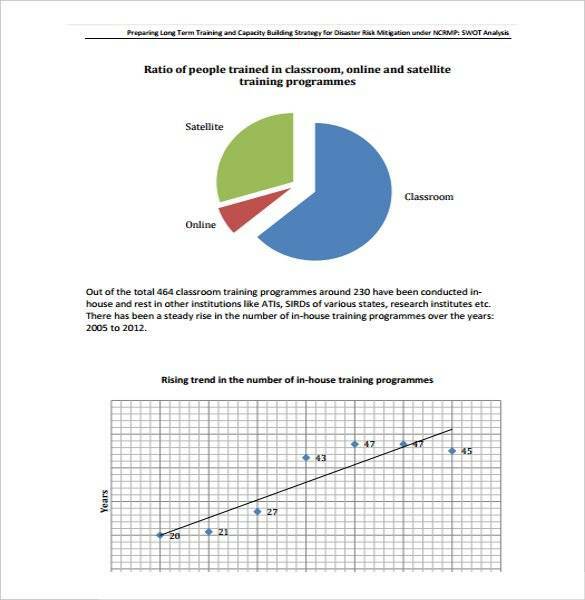 Some examples are HR SWOT Analysis Samples & Templates, Hotel SWOT Analysis Samples & Templates, and Retail SWOT Analysis Samples &Templates.